Save the date for the CCA/CCW Annual Midyear Meeting! 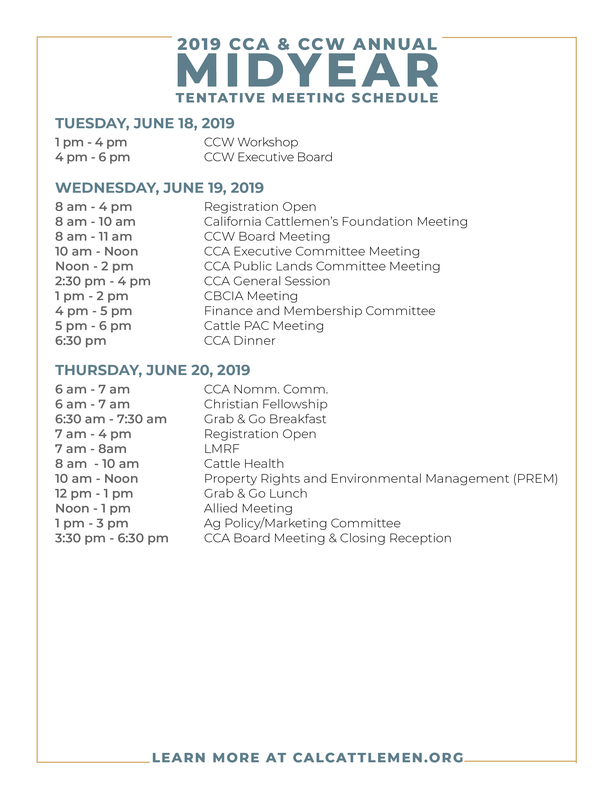 Being held just outside of Sacramento this year, we encourage you to maximize your membership by attending and being an active part of the CCA policy making process. 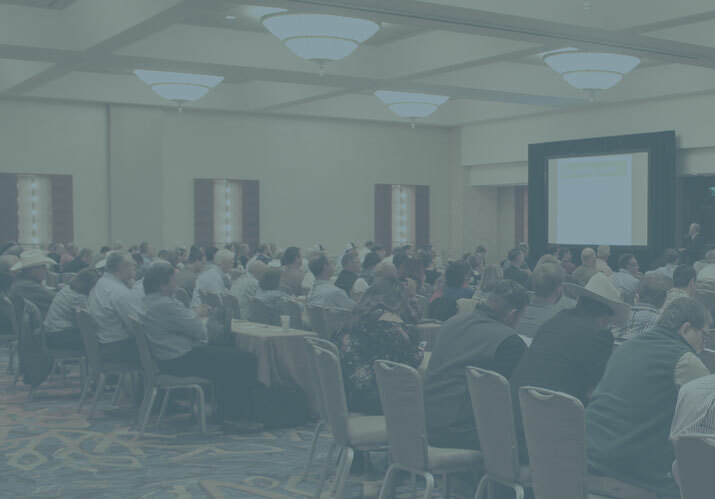 Come discuss current cattle industry issues with fellow producers, as well as hear from industry leaders, agencies and affiliate organizations. Your voice helps develop policy that provides direction for your organization and will influence the future of ranching. The CCA & CCW Midyear Meeting is open to all CCA and CCW members. Hotel reservations for the CCA group rate at the Murieta Inn and Spa can now be made. Room rates are $129 for a standard room. Book your reservation by calling (916) 354-3900 by 05/20/19.